"I never would have believed the brain could change that fast!" - Dr. Peggy Montgomery, renowned brain researcher and EEG expert - after conducting brain research on the HBL system." 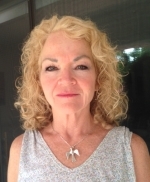 Lynne has worked for over twenty years in the mental health profession as a social worker, clinical supervisor, foster parent and staff trainer, as well as an individual and family therapist. She is also passionate about the importance of a healthy lifestyle and knowledgeable in many areas of physical, emotional and energetic well-being. Over the years, Lynne became increasingly dissatisfied with the limitations inherent in the profession and was looking for a new direction in her career. She became interested in quantum mechanics, consciousness theories and eastern philosophies and began to explore many alternative modalities, but nothing came along that was cutting-edge, exciting and viable enough to hold her attention at further examination. Lynne always had a desire to help people and be of service and knew there had to be a better way. While doing subconscious, belief-centered work with a clinician in Cambridge, MA, Lynne was introduced to higher brain living, and was immediately hooked. She knew this technique was truly amazing, sustainable and transformational in every way. Her own journey of growth and evolution since then has been nothing short of a miracle. To Lynne, the opportunity to now help others find their true Self and experience empowering confidence, clarity, passion, joy and purpose while creating the life of their dreams is one of her dreams-come-true.